Today, newspapers of all sizes face the challenge of creating and maintaining a sense of community among advertisers and ad agencies. Providing cost-effective ways to manage your relationship with advertisers is essential to increasing membership and revenue. 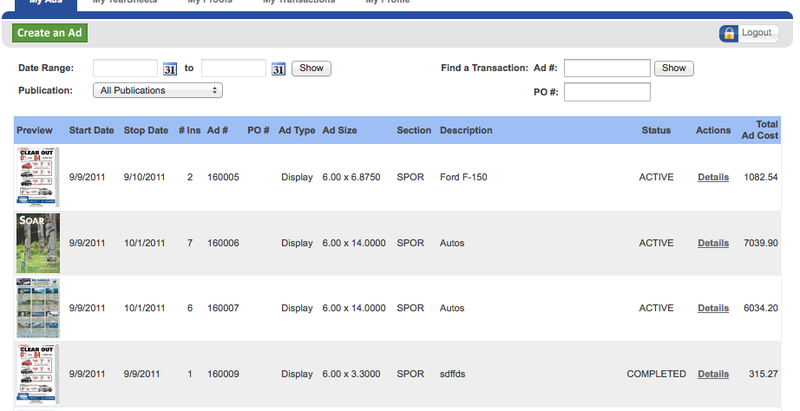 MyAdFlow™ provides cost saving tools by digitizing the costly functions of: Tearsheets, Proofing, Invoices and more.